Cape Town is surrounded by the far reaches of the Atlantic Ocean, which blends into the Indian Ocean just along the coast at Cape Agulhas. Cape Town is surrounded by water. Credit: Craig Howes, Cape Town Tourism. 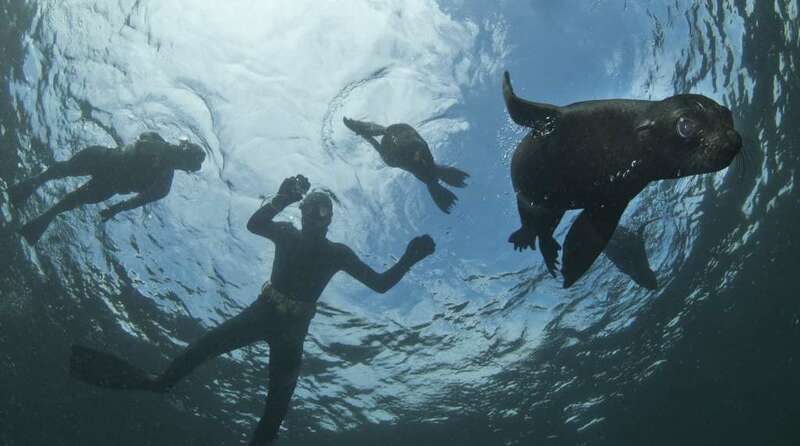 There are plenty of ways to enjoy this watery environment, from swimming with the local seals to harnessing the power of the so-called ‘Cape Doctor’ wind. Here are some of our favourite ways to get our feet wet. 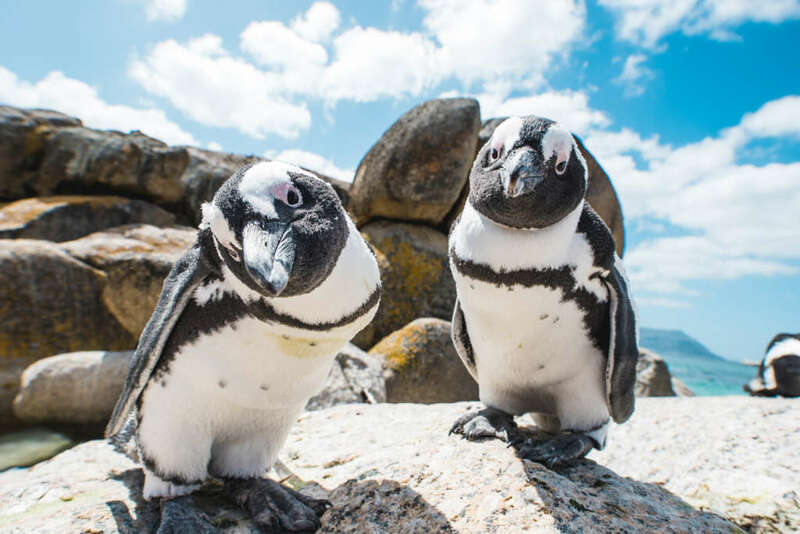 In Cape Town waters, you’ll no doubt bump into some of our resident penguins. Credit: Craig Howes, Cape Town Tourism. Cape Town is a surfing city, with plenty of places to paddle out and surf the breaks. Our water is very cold though, so wet suits are a must. 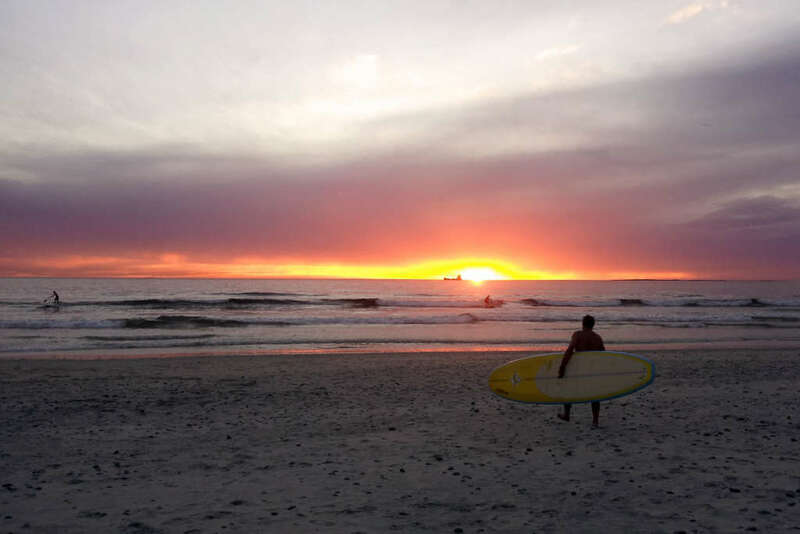 Muizenberg is one of the most popular places for beginners with gentle waves and lots of restaurants in which to warm up afterwards. More advanced surfers can head to Scarborough Beach, which is also blissfully quiet and a good place for escaping the city crowds on a hot day. 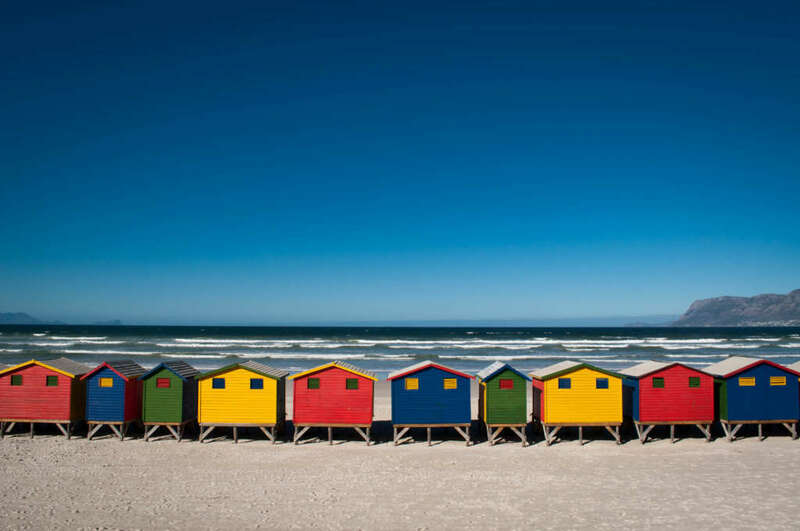 Muizenberg Beach is also famous for its bright beach houses. Credit: Osama Saeed Bhutta, Flickr. The Cape fur seals that live around Cape Town’s coasts are playful, curious creatures. They make great swimming companions. 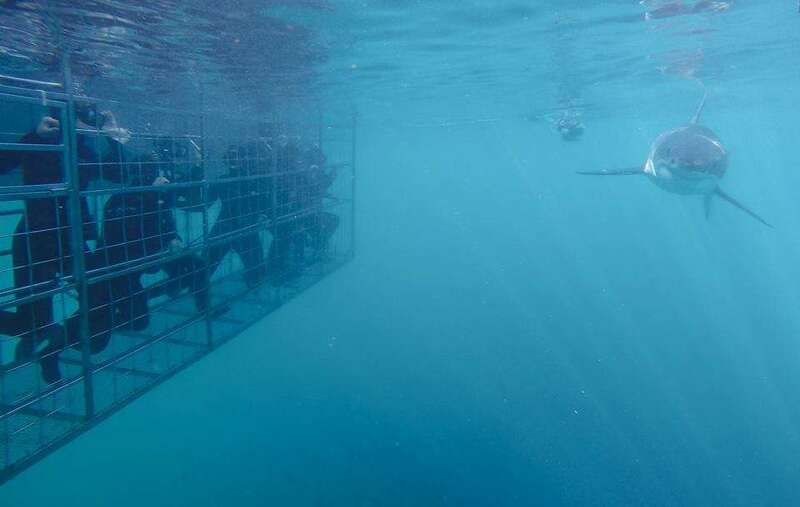 You can suit-up and jump into water off the Hout Bay coast, where the seals will provide endless entertainment, swimming under and over their new human friends, playing like excitable, sea-dwelling puppies. When you climb out, there are hot drinks to warm cold hands. Once back on dry land, head to the harbour for fish and chips to refuel. Stand-up paddle boarding (SUP) is a great way to explore the waters of Cape Town. Beginners can practise on the canals, which run around the waterfront. 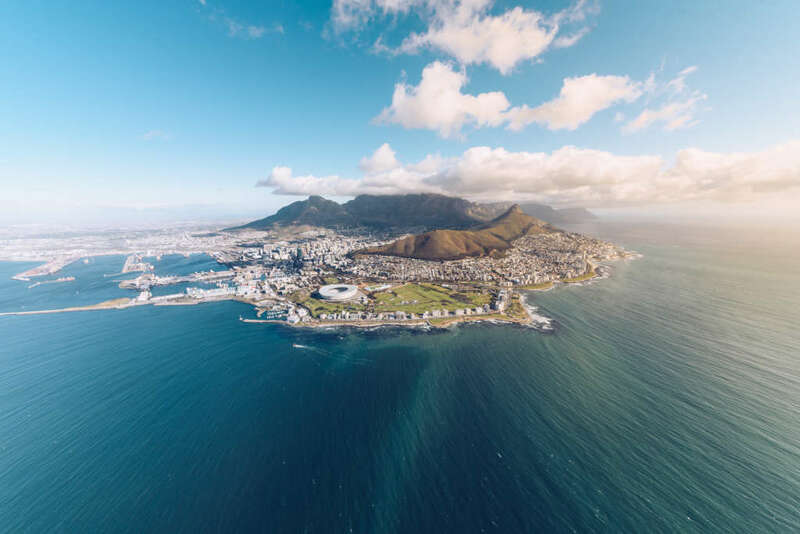 Those feeling more confident can drive up to Big Bay in Bloubergstrand on the west coast, which has the famous head-on view of Cape Town and Table Mountain. Big Bay is relatively sheltered, so it’s not too rocky for SUP-ers. It’s not uncommon to be joined by a pod of curious dolphins and the odd surfing seal. SUP-ing on Sunset Beach, Cape Town. Credit: Warren Rohner, Flickr. 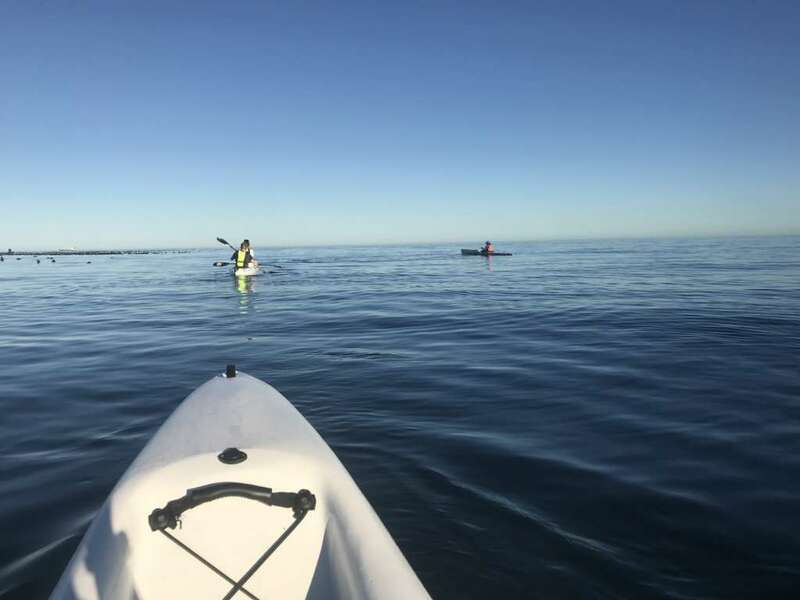 A blissful way to start or end a day is to head out on a kayak and explore the city’s coastline from the V&A or Sea Point. A morning’s kayak is the best time to see animals – dolphins frolic right off the shore, our tiny African penguins are out fishing, and even when it’s not peak whale watching season (June to September), it’s possible to spot the tail of a diving southern right whale. In the evening, the sunsets are glorious. Let your kayak bob in the water as you sit and enjoy the blazing colours reflected on the water. 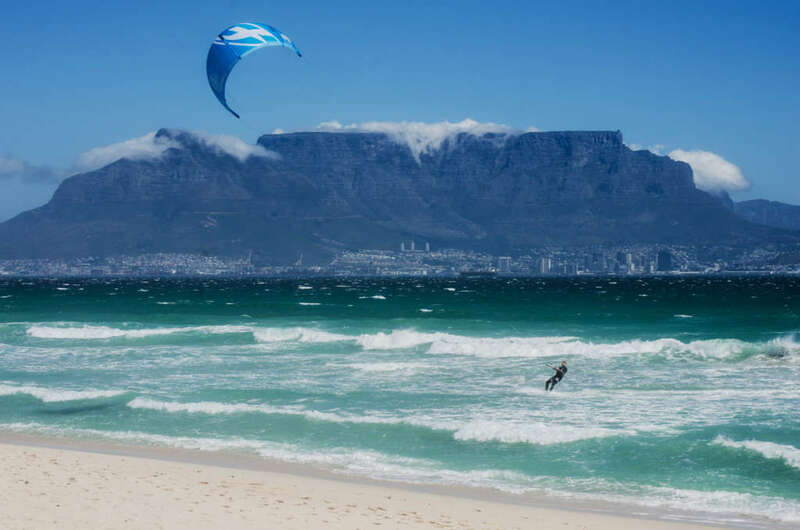 Cape Town’s weather is put to good use by windsurfing and kitesurfers. During the summer months from November to March is when the wind blows strongest and the west coast is generally the best for windsurfing and kitesurfing. Big Bay is a good for both sports and, as it’s sheltered, has nice clean waves to play with. Nearby Table View, which is just along the coast, is ideal for kitesurfers with plenty of space for everyone to practise. Kitesurfing at Blouberg. Credit: Lisa Burnell, Cape Town Tourism. Meet the Western Cape’s resident great white sharks and learn more about these much-maligned predators. The cage is attached the side of a boat and doesn’t usually require any actual diving; you can just hold your breath when the shark approaches. You’ll be kitted out in a wet suit and a mask and the crew will let you know when a shark is swimming past. Aside from educating visitors, the voyages, which depart from False Bay just outside Cape Town, help fund research about these mysterious sharks. A great white shark approaches the cage. Credit: Marine Dynamics.